Saves your tree stand from weathering – no more worrying about rust or straps drying out – just like parking your car in your garage! Guaranteed to revolutionize the tree stand industry. The National Bowhunter Education Foundation (NBEF) saw the Tree Stand Buddy® at the 2010 ATA Trade Show and liked it so much that they are looking to incorporate it into their training seminars and their safety videos that are included with each tree stand purchase. 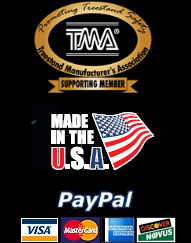 Tree Stand Buddy® was recently tested by Scientific Testing Laboratories, the same company that performs all TMA testing and rating of tree stands. Our bracket system withstood 935 pounds of weight force without any movement to the brackets before the tree stand that it was attached to failed. As you can see, the benefits of the Tree Stand Buddy® are endless. 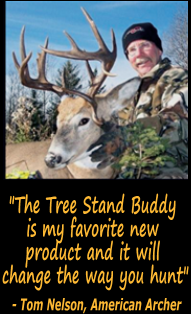 Tree Stand Buddy® provides Affordability, Safety, Comfort, and Saves Time AND Money to boot. What more can you ask for? We want to bring the general public one of the best new products in years so that hunting can be a safer, more enjoyable experience for all.